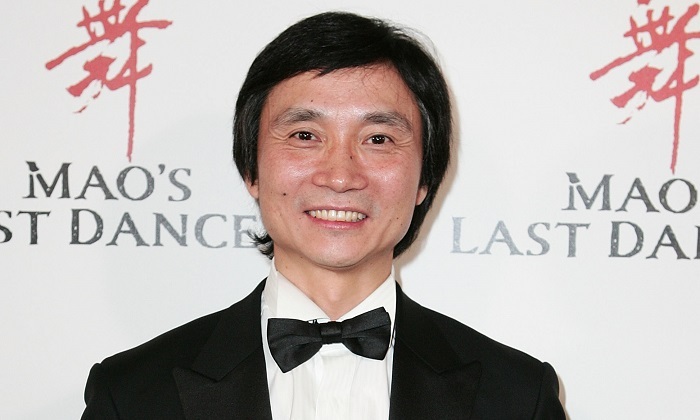 Li Cunxin–the man known in popular culture as Mao’s Last Dancer–will return to the ballet stage this weekend after an absence of nearly two decades. After months of training, Li will make a one-off performance with the Queensland Ballet performing in the role of Drosselmeyer in the Nutcracker, reports the ABC. “The Nutcracker would have to be one of my favourite ballets. It’s the very first ballet I danced when I went to the West,” Li said in an interview with the ABC. Readying his body for this one-off comeback has been grueling, said the 56-year-old. “Mentally, I think you have this knowledge, I have all these wonderful memories of what I can do and what I am capable of doing,” he said. Li’s life story was told in his memoir and then the film, Mao’s Last Dancer which was directed by Bruce Beresford. Some of the film’s footage was secretly shot in China. Born in communist-run China in 1961, Li grew up in grinding poverty. “Watching my mother, my father, working so hard just to make sure none of their seven children died of hunger, or died of freezing weather,” Li said. The harshness of his early life instilled in him a discipline that helped him later push forward through adversity, but he told ABC that his life in Australia is so far detached from his childhood struggle to survive. “Sometimes I have to truly pinch myself so hard, thinking: ‘Is that really my life, is this really a journey I’ve lived through, is this the success I’ve achieved? '” he said. At age of 11, Li was selected to join the Beijing Dance Academy and then as an adult he was chosen as a visiting exchange artist to the Houston Ballet which ended up with him defecting to the U.S. in 1981. In the 90’s he moved to Australia with his wife, Mary McKendry, a fellow dancer. In 1995, Li joined the Australian Ballet as a principal artist but retired from dancing four years later to become a stock broker. In the coming performance Li will also dance with his wife. “I think it’s going to make it a really special for this particular performance, too, because my long-time partner, my favourite dance partner happened to be my wife Mary McKendry,” Lin said. “The last time we performed together, as the sugarplum fairy and the prince, was in precisely this same production 26 years ago. She retired after that performance,” he said. Their two daughters will also watch them perform. They will watch Li dance for the first time ever. Li’s return to the stage has likewise been highly anticipated by dancers at Queensland Ballet where he is also the artistic director. “When I knew that Li was making a comeback I was super excited,” said principal dancer Alex Idaszak. Li is also the subject of a major photographic exhibition at the Museum of Brisbane which opened this week. The exhibition runs through till April 29, 2018.